Time for another 'Tru-ish' tale of Colfax and the Mile High City. A new 30 MILES OF CRAZY! (#53)! 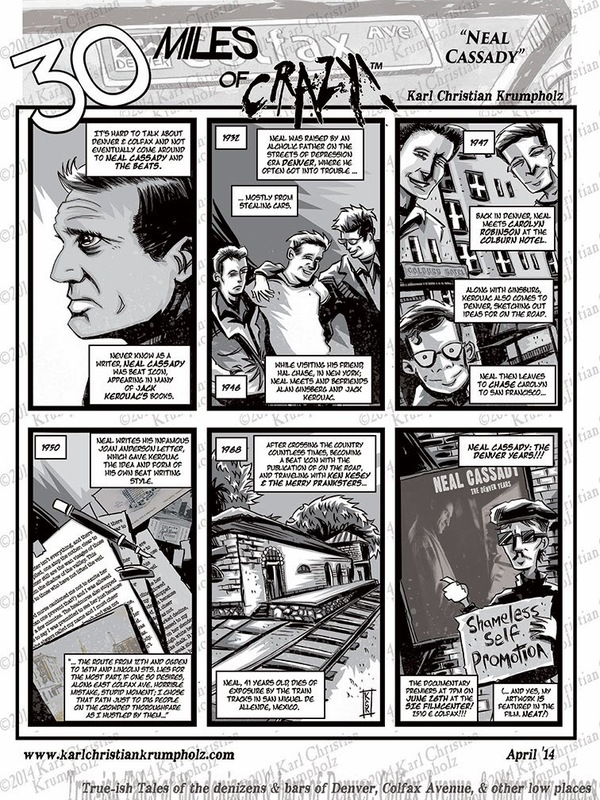 This week: Neal Cassady or... ANOTHER CASE OF SHAMELESS SELF PROMOTION! Plus... My artwork is featured in the film!!!! In many places... and animated!!! SHAMELESS SELF PROMOTION!!! It will be magical if you like that sort of thing. Be there or... well, you know the rest!